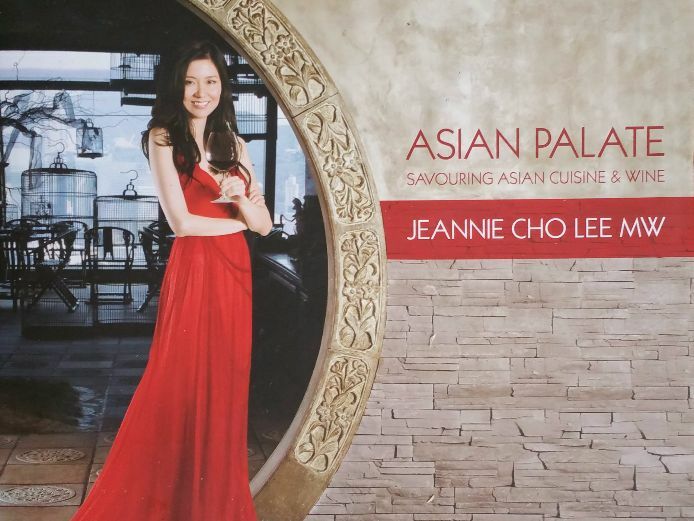 For Chinese Top Chef’s “modesty is a virtue”, this is a high-minded and a traditional behavior in Chinese societies. Celebrities Chefs who gained fame in the West through cooking tv shows are Ken Hom, Martin Yan, Kylie Kwong and Ching He Huang. And let’s not forget the productive and outstanding Chinese cookbook author; Deh Ta Hsiung just to name a few. 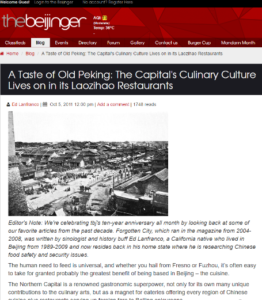 But when readers are asked to name present Chinese Top Chefs in China, or a Chinese Top Chef nearby not much is known initially. With the aid of foodies culture, international awards and worldwide acknowledgements of International famous peers, public awareness is growing. 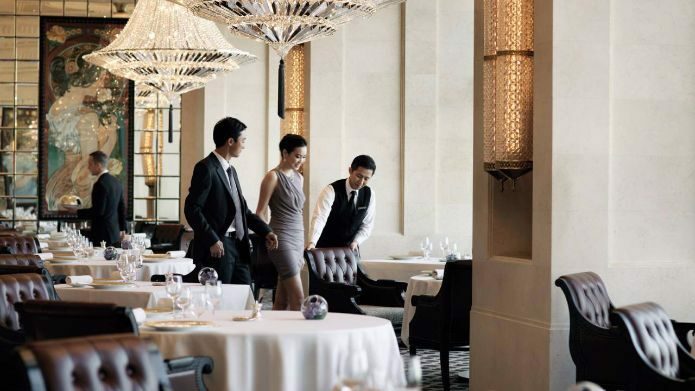 A wind of change is cooking up a storm of transformation with new Top Chinese Chefs gaining recognition and they are turning heads with creativity, combination of East meets West, high skills and innovation. In The Netherlands, The Hague well known Chef Han of Restaurant Hanting in BeiJing Chef Executive Chef Da Zhenxiang of famous Da Dong Restaurants two names and places on opposite sides of the globe. 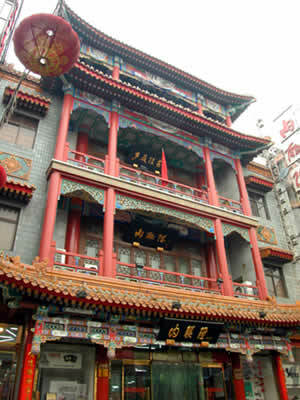 While chefs such as Heston Blumenthal come to his restaurant to learn how to make Peking duck, Dong also spends time in other kitchens to pick up new skills and ideas. 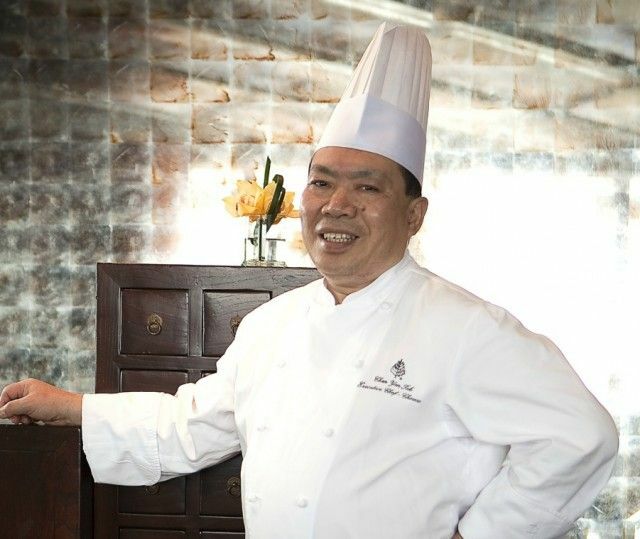 He spent a year learning French cooking techniques at the Maxim’s de Paris restaurant in Beijing. 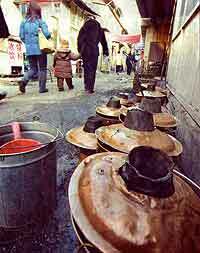 In August, he went to Mongolia in search of wild mushrooms for new dishes. “The mushrooms naturally grow in circles in the grass, so I was inspired to also present them this way on the plate with flowers,” he says.” This article was first published in the South China Morning Post, to read more click on the linked article(s). 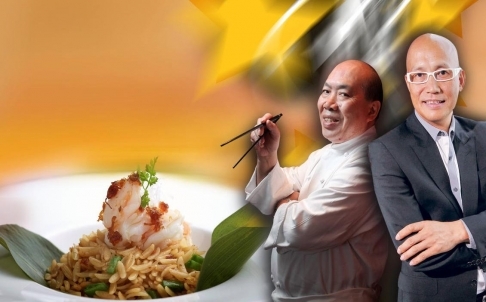 via Top Chinese chefs shun the spotlight | South China Morning Post. Last weekend I went out to shop for pork belly, but the butcher shop closed earlier than I had expected. Ended up at the local Moroccan halal butcher, buying entirely different ingredients. 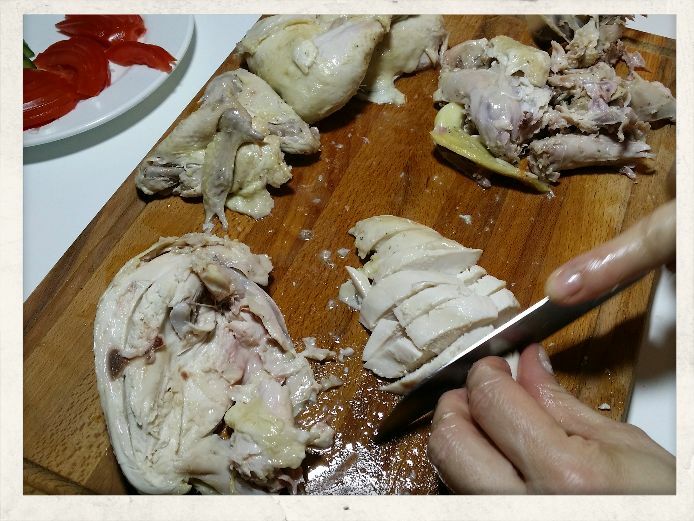 Came home with two fresh Halal broilers to prepare Hainan Chicken Rice 海南鸡反 for dinner. 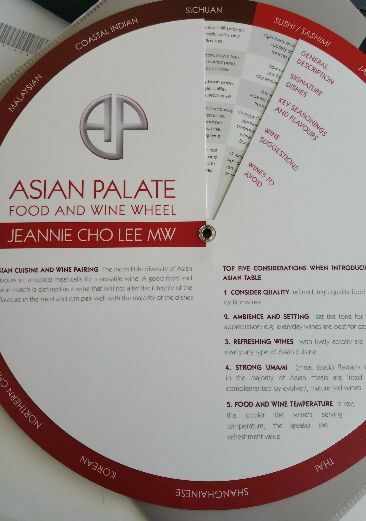 A family favourite dish with loads of stories attached, where to go to sample and taste, and company who joined. 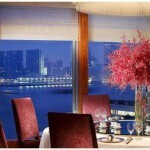 Asians habitually talk about food, so everyone chimes in to share at the table with fellow travellers and foodies. 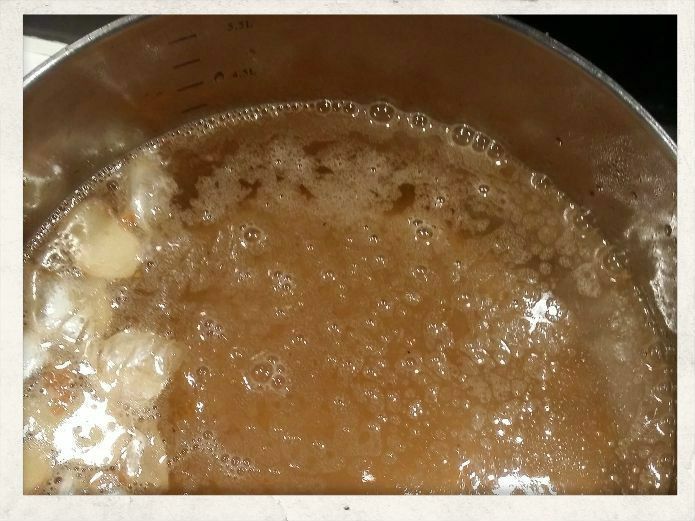 Once upon a time… of course it’s not a fairy tale, but this dish has a long history. An old saying “Whoever wants to go to China must cross the Seven Seas” opening up food chat trivia with many questions and even more answers. 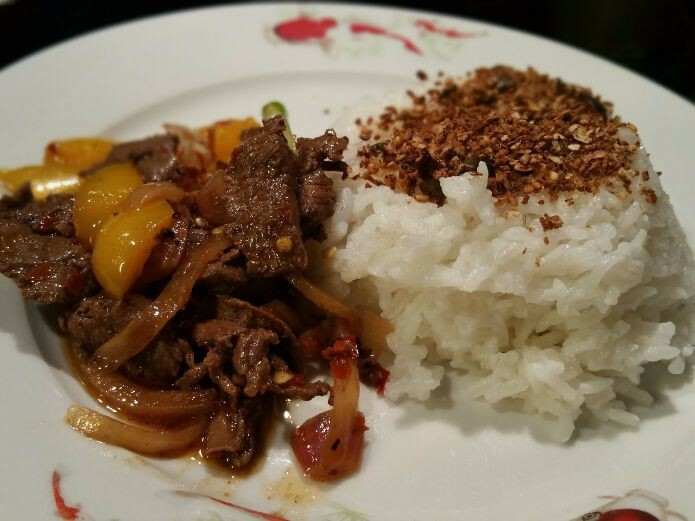 This Chinese dish must have accompanied Admiral Zheng He with his treasure fleet on his expeditionary voyages. Throughout south-, south-east Asia all the way till the east coast of Africa from 1405 till 1433. 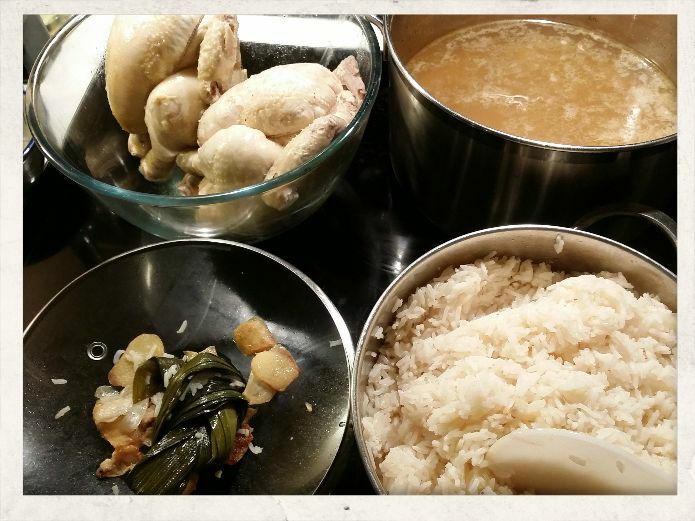 Diaspora of Chinese communities emerged far from home with immigrants bringing with them their skills and reminders of home in preparing comfort food. Let’s jump forward in time, across the Pacific Ocean at the beginning of the 19th century first immigrants arrived known in American history as Chinese railroad workers. Sailing the opposite direction over the Atlantic Ocean, the first Chinese seamen arrived in The Netherlands in 1911. 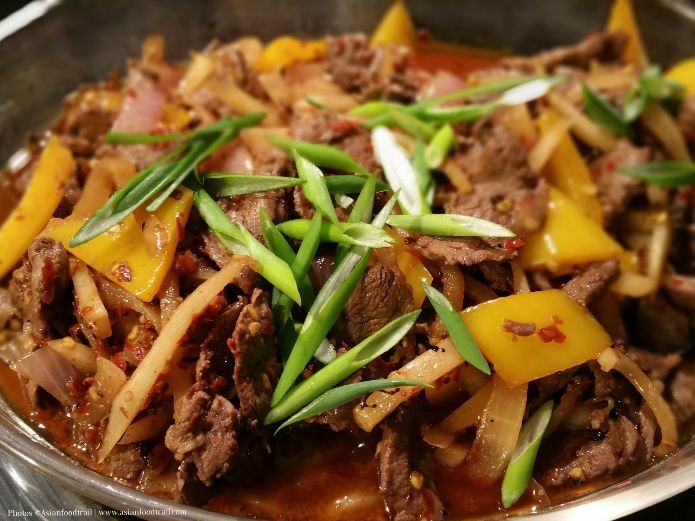 This time frame and distance show a glimpse of a long history; it explains how widespread early Chinese peasant cooking has caught on all continents and the adaptability of Chinese dishes to local taste. 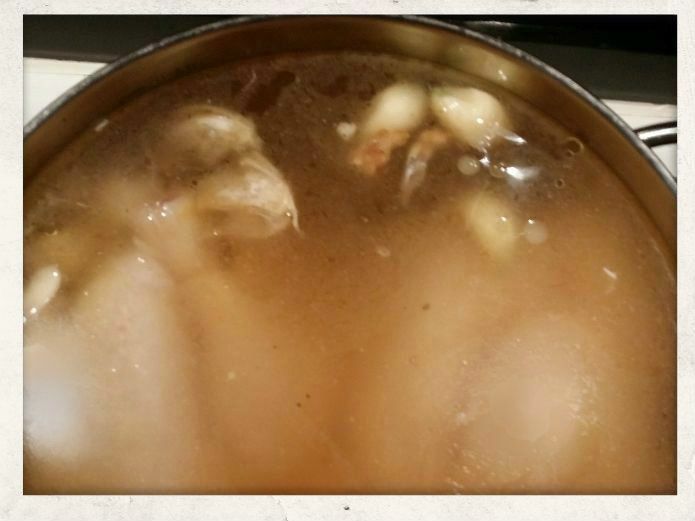 This famous dish named after a Chinese sub-tropical island 海南岛 in the South China Sea, where a local dish prepared with the main ingredient “Wencheng Chicken” originates. 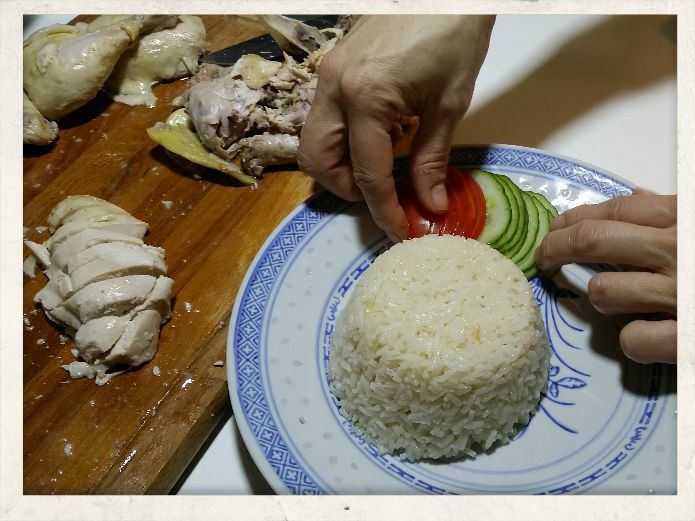 Long after the first immigrants, the present dish is still named as Hainan Chicken Rice. 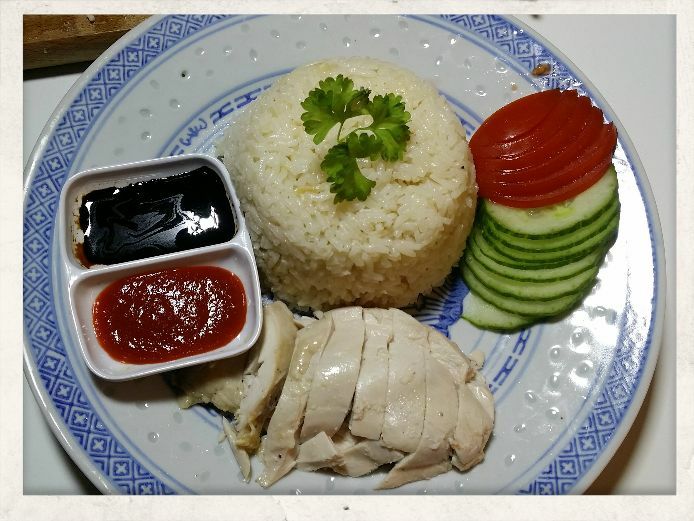 Recognised for its simplicity, aromatic rice and the tender poached chicken it remains a favourite dish trending on top of many food lists with fans in- and outside south-east Asia. 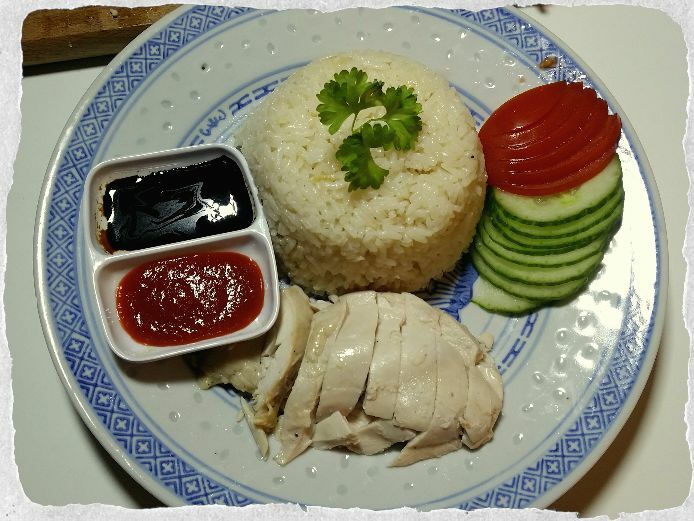 Singapore proudly lists as one of their national dishes, available at almost every street corner coffee shop called Kopitiam, food courts, hotels and even highlights on Singapore Airline menu. If you have travelled throughout this region e.g. 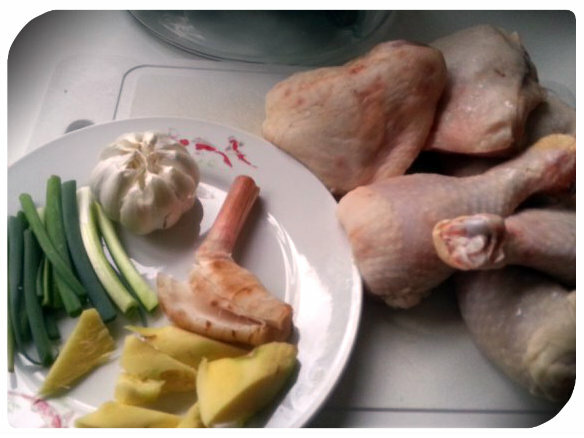 Taiwan, HongKong, Vietnam, Thailand and Malaysia, you will recognise a resembling chicken dish. In taste and presentation slightly different as influenced by available produce and local taste. 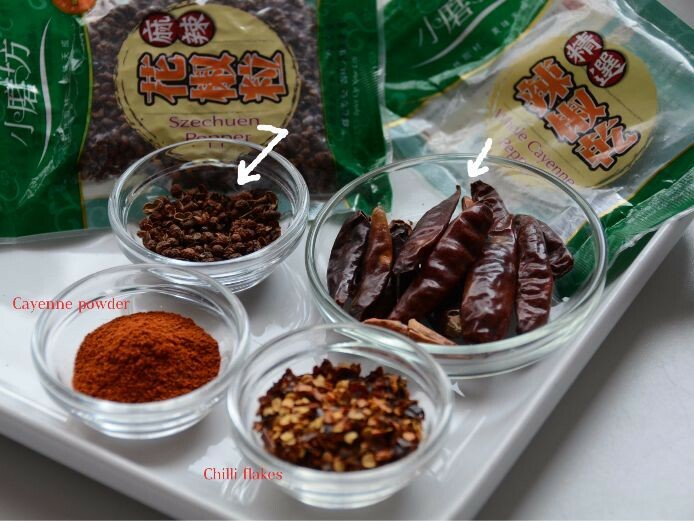 Hong Kong has it’s own cooking style and their way of preparation gained popularity as Pak Kai or BaiJi, 白鸡, also resulting in succulent meat cuts. 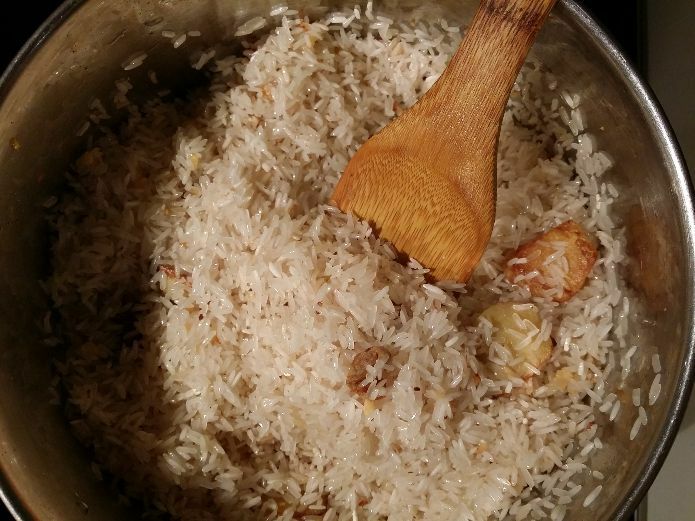 The Thai variation is known as Khao man kai, in Vietnam, it is called Com Ga Hai Nam. 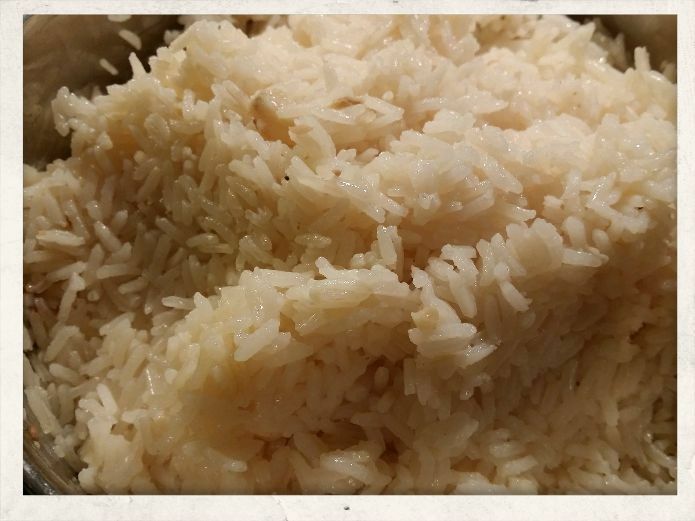 Every mouthful of Chicken & Rice are as good as the source dish, most importantly it shares the same characteristic of poached succulent chicken meat and fragrant broth. 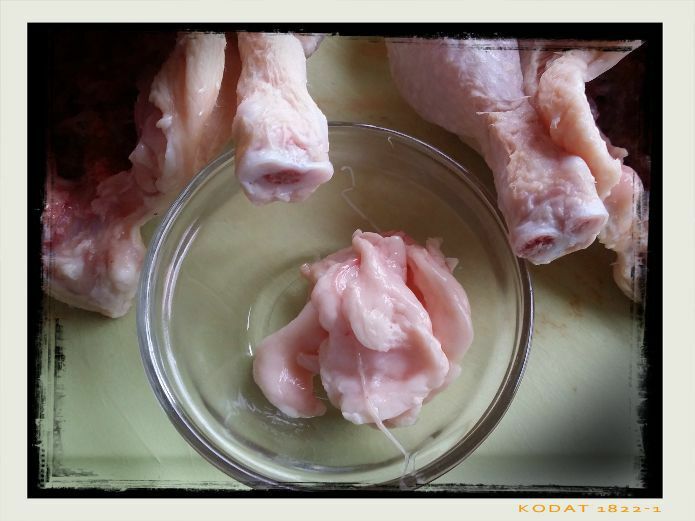 Chicken – Traditional Hainan free-range Wencheng chicken feed is with coconut and peanut shells. 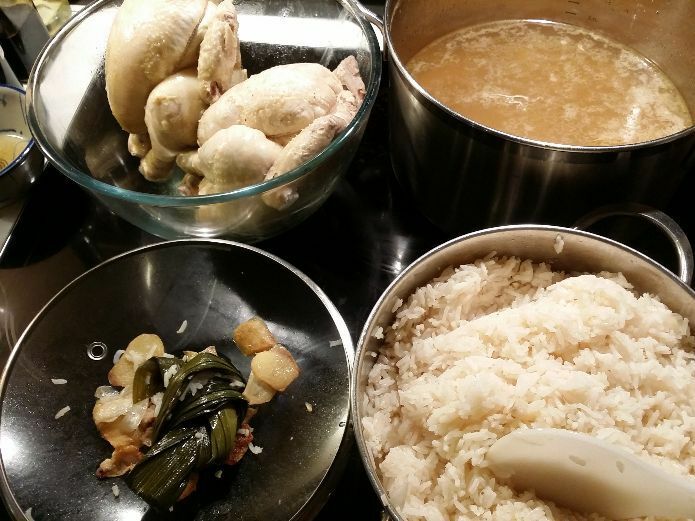 The adopted Singaporean national dish version is claimed prepared best with a Kampung chicken (Ayam Kampung means free-range village chickens, common in Indonesian and Malaysian). 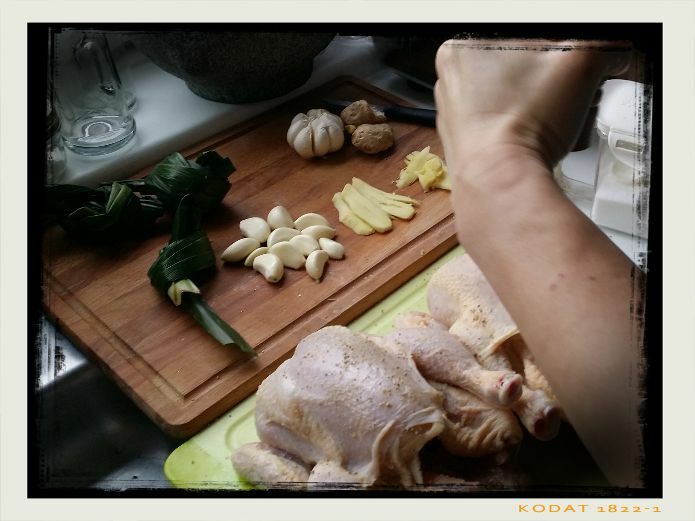 Home in The Netherlands I have prepared this dish with corn-fed free-range chicken, broilers and cut chicken parts, foremost it needs to be fresh. 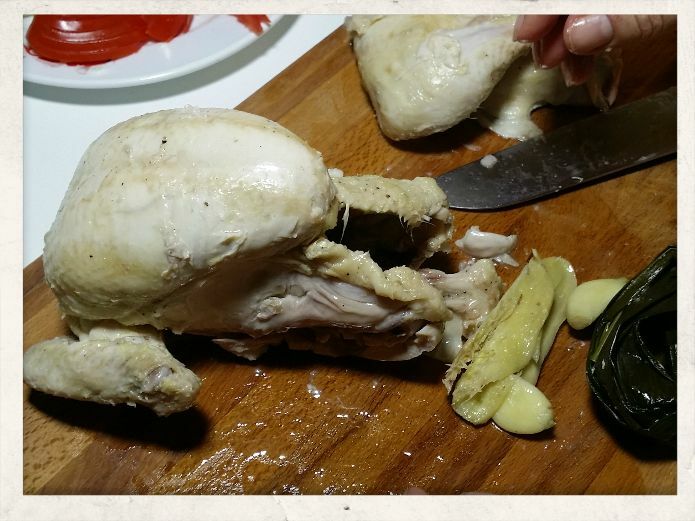 In all fairness, during the week I will buy supermarket cuts or broilers, but for this dish, I will opt for a poultry butcher. 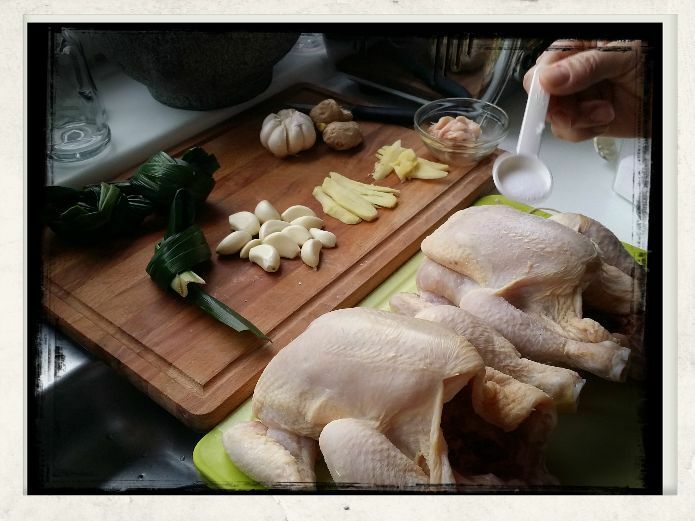 To buy specialities such as Bresse Chicken from France very flavoursome and worth the cooking effort to prepare a particular dish. A rare, the only bird with an A.O.C. a national quality label of origin. 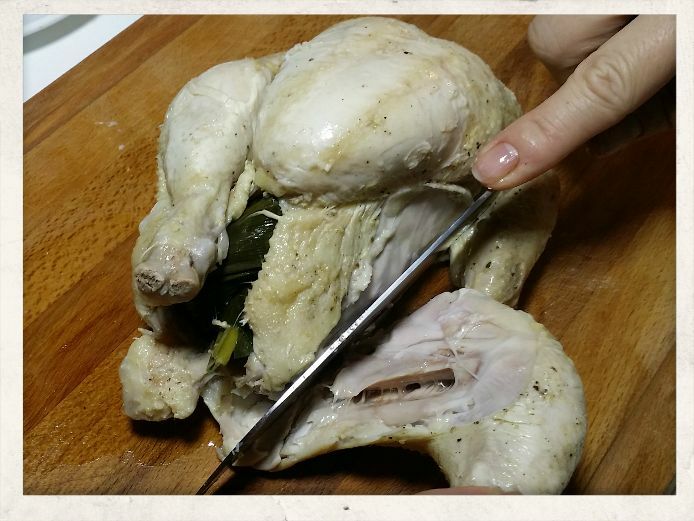 Once plucked the chicken are all naked and look the same (right? 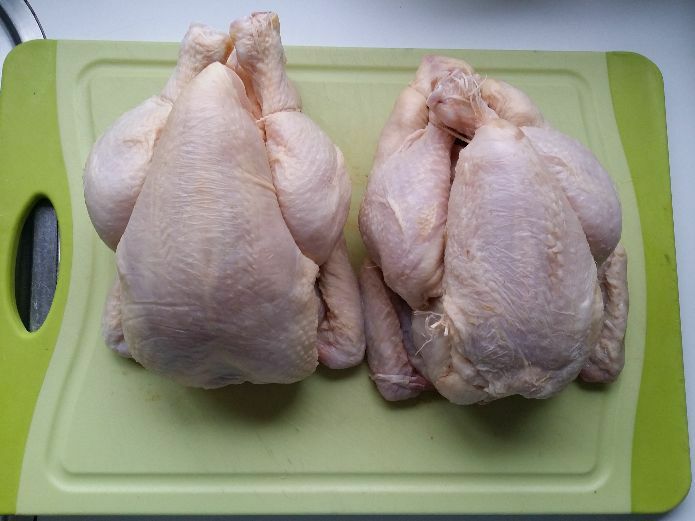 ), but the Bresse chickens have blue feets. 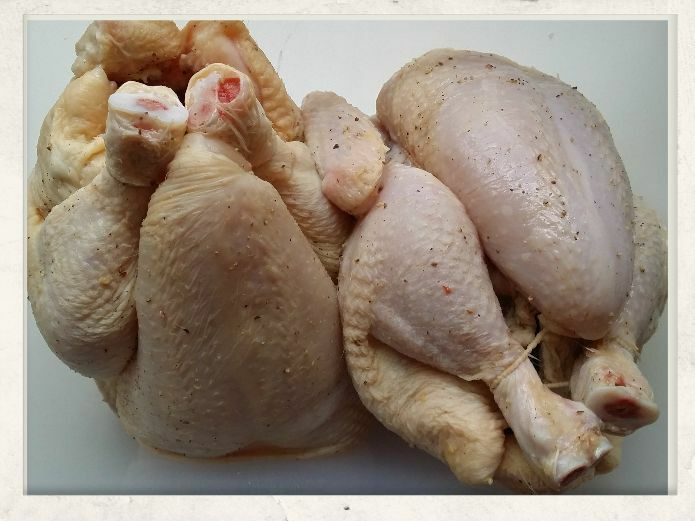 A slightly cheaper option is the free range Dutch corn-fed Kemper chicken, very tender and tasty meat. 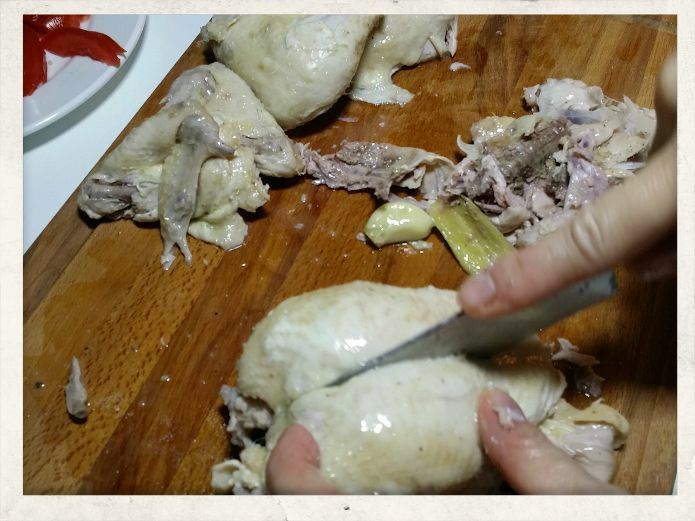 You can easily recognise a corn fed chicken by its yellow-orange skin and when cooked the meat flavour differs from a battery or factory production. 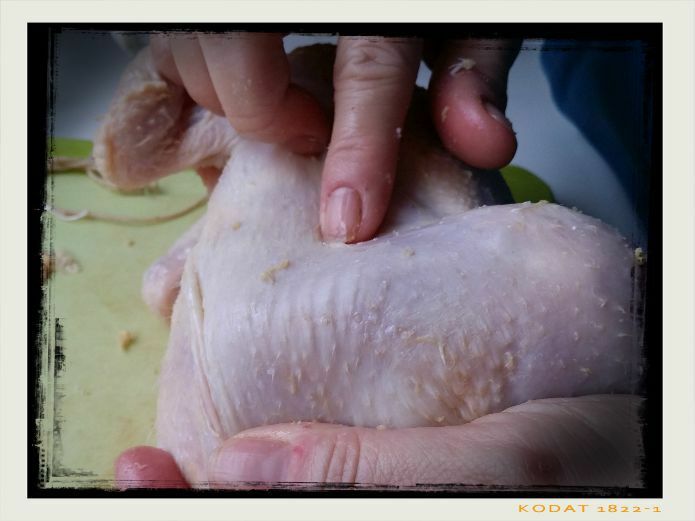 BROILER: A meat chicken processed at the age of 7-12 weeks when it reaches 2 ½ to 3 ½ pounds live weight. 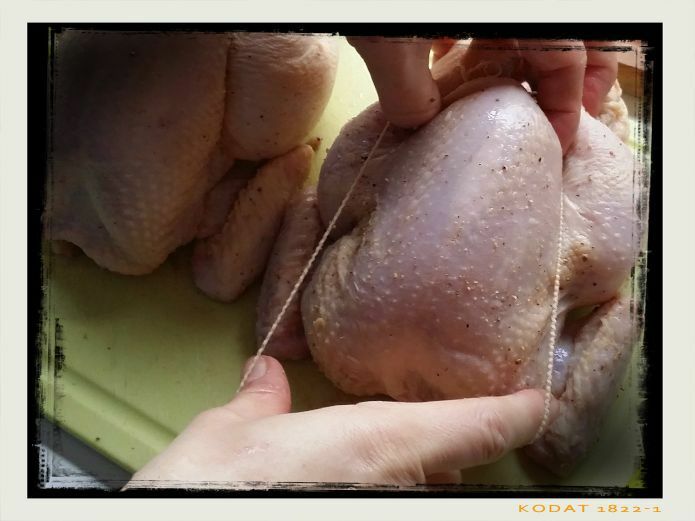 Historically Broilers were marketed as birds ranging 1 to 2 ½ lbs. Cooking technique: Use the stock for poaching the chicken, with all the extracted aromas the broth can be used to cook the rice. 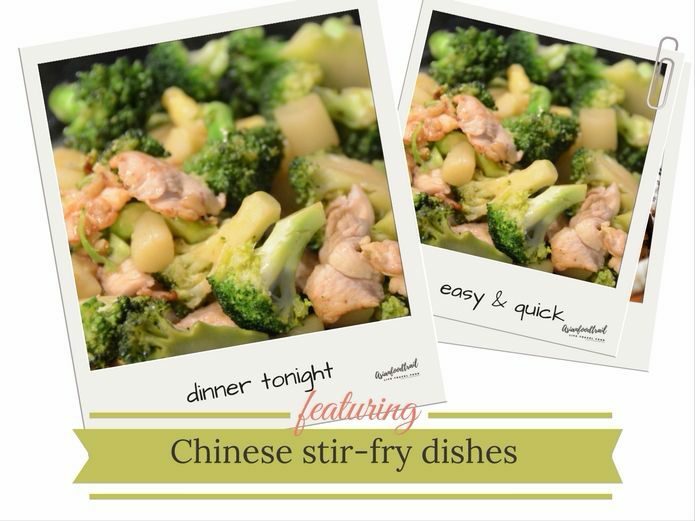 Served as clear soup accompanying the dish or reserved liquid used for flavourings of stir-fry dishes. Click for “Chinese stock methods” on the highlighted link. 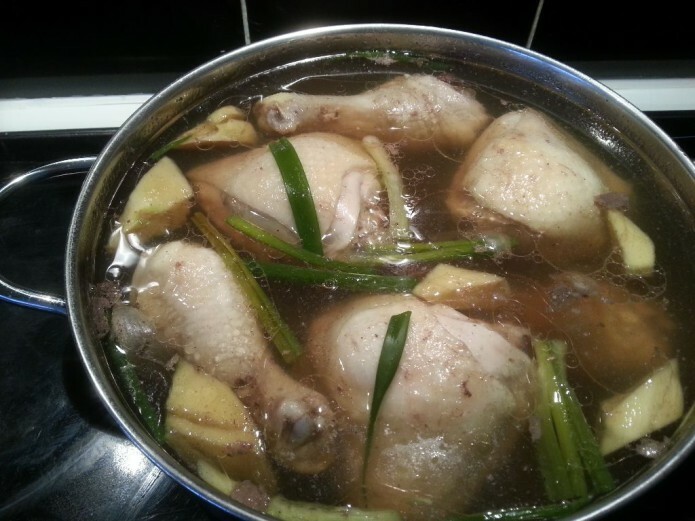 Chicken fat – Chicken fat is used to stir-fry the rice first or made into a paste with additional spice and herbs, to enhance the flavour and then add the stock with ginger, garlic (and optional adding of pandan leaves and other herbs). 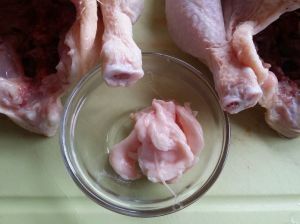 Use the chicken fat in making the original Singaporean style chilli dip-sauce (if I use a whole chicken I pull out the chicken fat especially to make a big batch, for taste it is worth the trouble of preparing the chilli dip). Hainan the dish is accompanied with typical oyster sauce and minced garlic, along with chilli dip and finely minced ginger with a bit of green onion (shortly heated in oil to draw out flavour and sharpness without darkening). Singapore a customary hot chilli paste sauce (consisting of minced peppers, lime juice with chicken fat, chicken broth, garlic & ginger), along with pounded ginger served with dark soy sauce. Recent years the Thai Sriracha sauce has become a very popular condiment, due to its close spicy sourness and garlicky taste. Hongkong has lime/lemon juice added to the ginger, next to a hot chilli sauce. 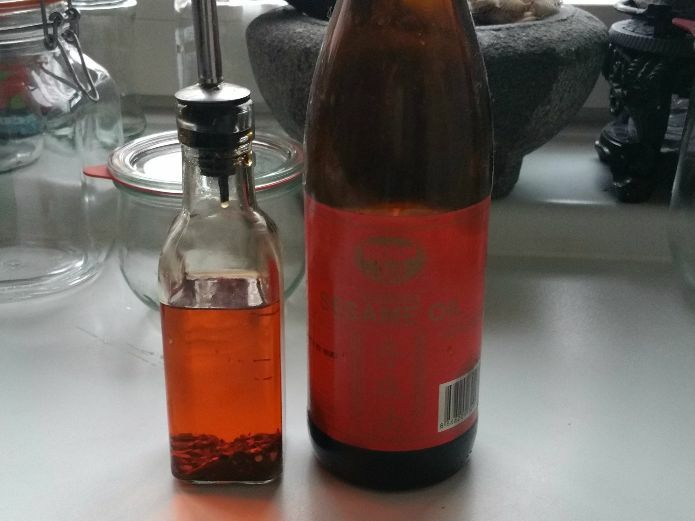 Thailand a sauce mix made with yellow soybean paste, thick soy sauce, chilli, ginger, garlic and vinegar instead. Vietnam serves the accompanying sauce mix made of salt, pepper, lime juice and fresh chilli (use of fish sauce too). 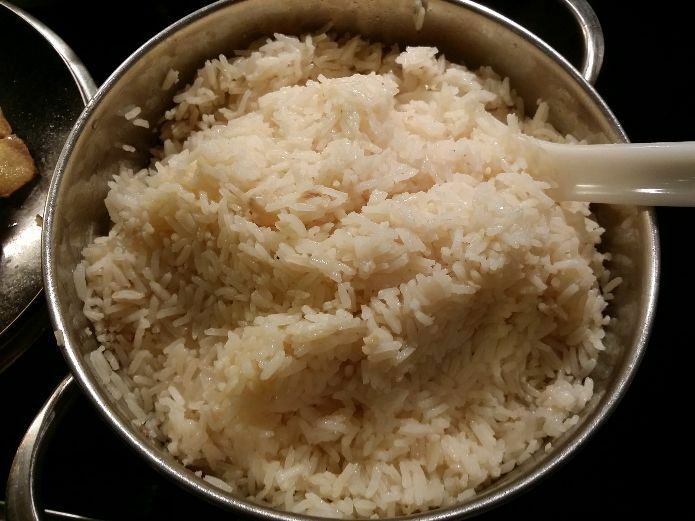 Rice – Standard cooked white rice is just what it is plain rice. 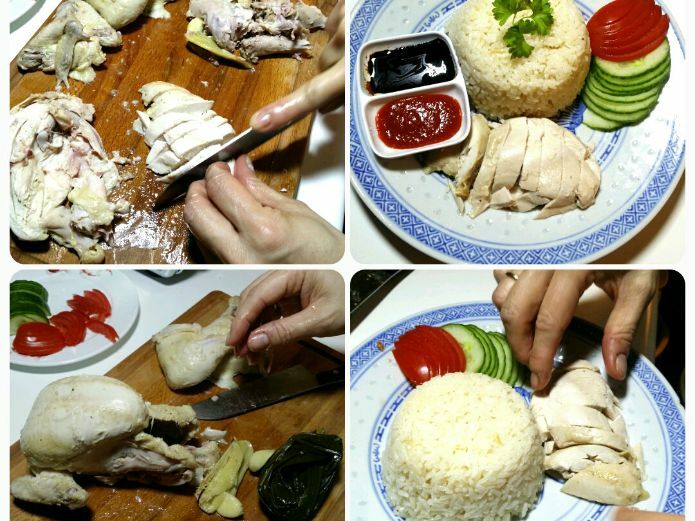 The chicken rice uses a rice paste with chicken fat for intense aromatic flavour. 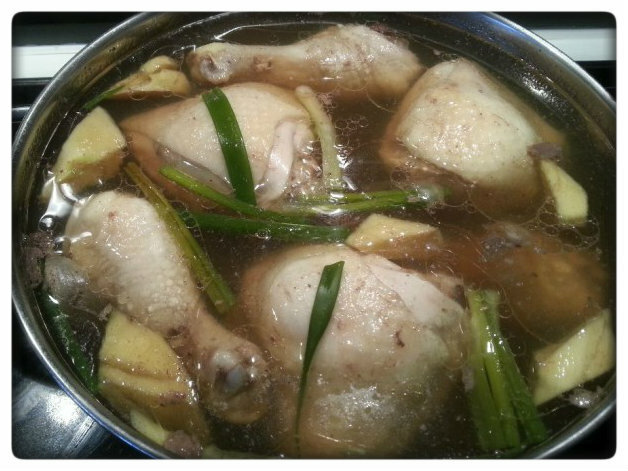 The stock included a variety of fresh herbs; it influences a different result as in soup or cooked rice. 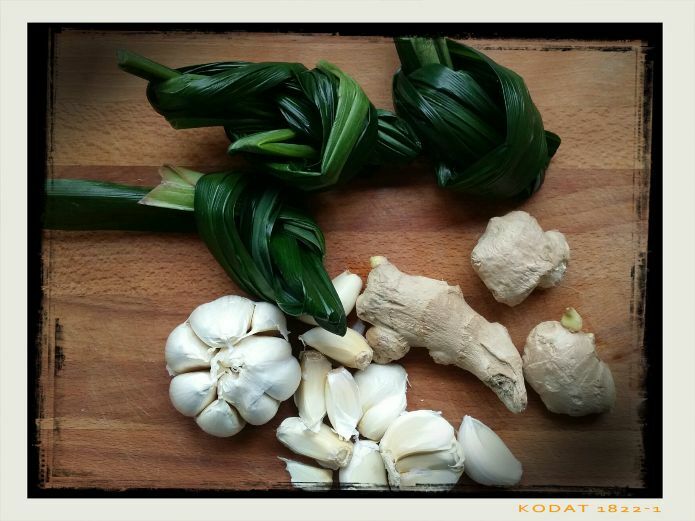 If you add Pandan leaves it enhances the grass fragrance, combine or interchange with lemon grass and galangal (aka blue ginger, Leng Kua/Laos, Kham, etc.) for a more defined citrus aroma. 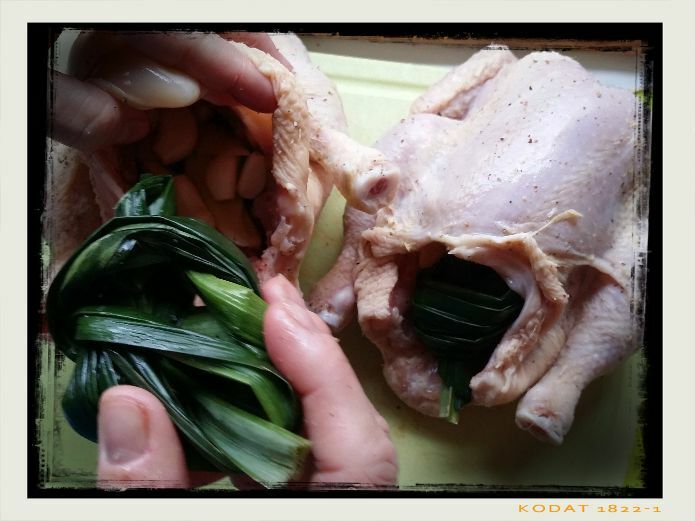 Have the pandan leaves combined with coconut milk (and lemon grass) to make Nasi Lemak another fragrant and traditional rice dish. 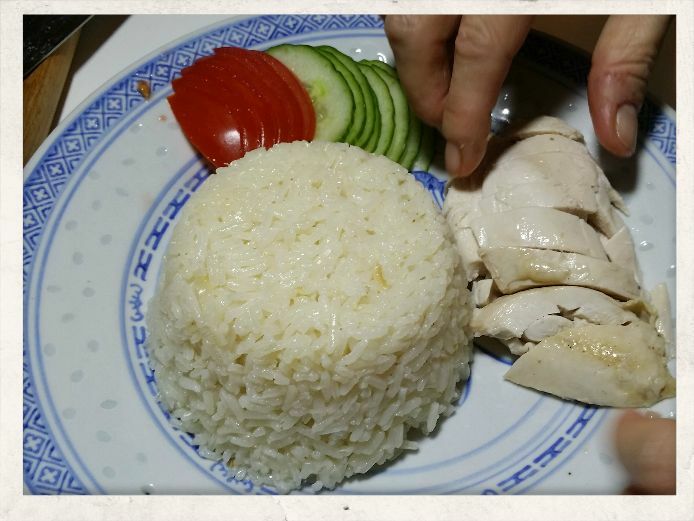 Hainan Chicken Rice either cooked with rice paste or poaching stock. 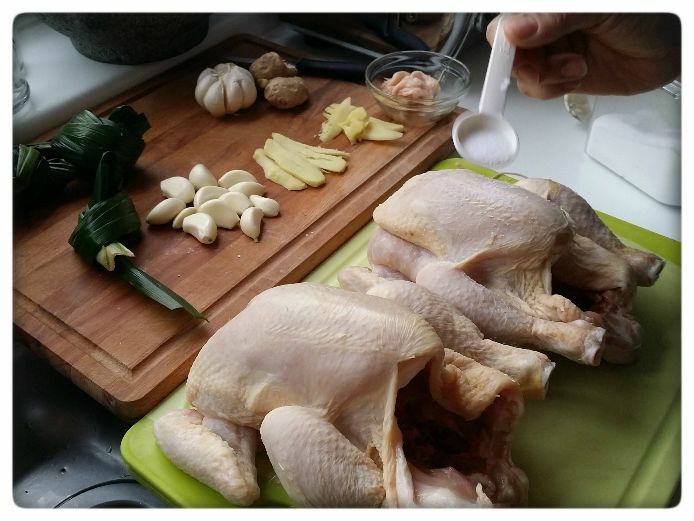 Almost ready to assemble our Hainan Chicken Rice plates – Singapore style. 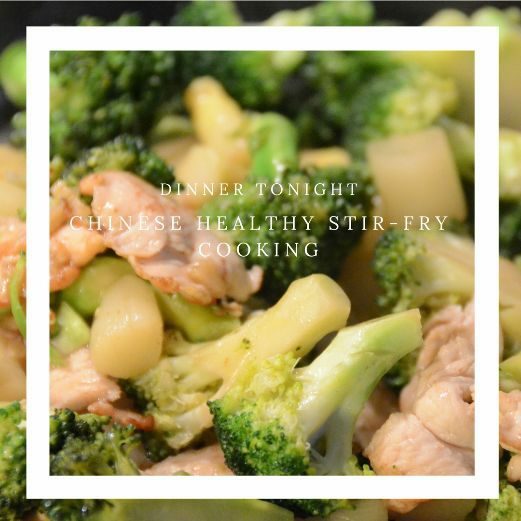 You can easily recreate this dish, for more information click on “Chinese stock methods” or “Hainan Chicken tutorial” or recipe post.